Today Princess Yachts International celebrated another landmark achievement - the handover of the 100th Princess V39. 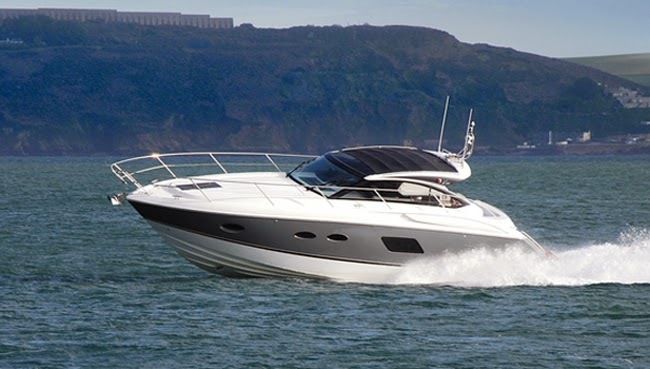 The Princess V39, the shipyard’s entry-level model, made its debut in January 2012 and almost immediately picked up two major industry awards, in Europe and the US. Fitted with twin 330hp Volvo D6 diesels and Duoprop sterndrives, the V39 offers 38-knot performance and a luxurious two cabin, four to six berth layout at an unbeatable price. The boat has proved particularly popular with buyers in the UK and Scandinavia, with significant numbers also exported to the US, Japan and Argentina. Earlier this year the team responsible for V Class delivered a landmark 100th Princess V52, another award-winning yacht which was unveiled during the autumn 2011 show season. Our New Boat Sales team are available to discuss specific specification requirements, and offer advice about the extensive range of optional equipment that is available for each model.